There are not many guitar players who make an instant mark on the music world, but Randy Rhoads was one of them. With the most amazingly fluid style since Eddie Van Halen, Randy's work with Ozzy Osbourne helped bring Ozzy back from obscurity. Here's the first (and some say still the best) single that Ozzy released after his break from Black Sabbath, the isolated guitar track from "Crazy Train" from the 1980 Blizzard of Oz album. Here are some things to listen for (it doesn't begin until about 20 seconds in). 1) The guitars are a true double, split left and right, with the parts played slightly differently. The chords are on the left side while most of the single note pedal is on the right. It's amazing that he can double some of the licks and harmonics so well. 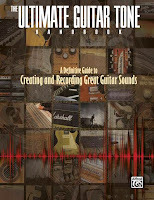 2) The guitar sound is very basic, with just a short room sound used as ambience. 3) You can hear a punch on the left side at about 2;15 and at the solo at 2;50. 4) The solo is written and again doubled very effectively, making it sound a lot bigger as a result. 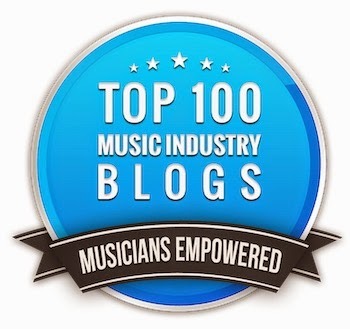 Noah Mintz posted a brilliant piece on his Facebook page called Band Rules To Abide By that was originally written by Brendan Canning with help from Noah and Mark Bartkiw. Let's face it, no matter what kind of music you play or whether you're in a band from the 50's, 70's, 90's, or 2020, there are some experiences on the road that are timeless. This post nicely illustrates many of them, although some of the items are a bit too inside the band to understand. 1a) Never take directions verbatim; interpretation is the key, especially when dealing with cute young hippie girls, stoned lads and/or lasses...Americans in general. 2b) All You Can Eat – not necessarily a good thing (more often than not a bad thing). 2e) Seafood – best to stay away from when the nearest body of water cannot be seen. 5a) Always ask how long coffee has been sitting for. b) Try to keep to a maximum of four cups per day. Read the entire list on Noah's Facebook page. Here's the second half of the interview with guitarist Doyle Bramhall II from an episode of the Guitar Universe show that I co-produce. Part 1 was posted here about a month ago. Doyle has played with everyone from Stevie Ray Vaughan to Roger Waters to Eric Clapton to his own band the Arc Angels, as well as being a solo artist himself. What I like about this part of the interview is that he talks about how he got some of those gigs, which shows the typical way these things sometimes work. Here's the isolated vocals to one of my favorite songs, The Beatles "In My Life" from their Rubber Soul album. I'm pretty sure the isolated track is taken from Beatles: Rock Band, but that still doesn't diminish how cool it is to hear the vocals pretty much stripped away from the backing track. That being said, the backing track was extremely basic anyway (it was Take 3 of 3), with just guitar, drums and bass without any sweeting except for the piano solo. Here are some things to listen for. 1) Once again, the vocal blend of John, Paul and George shines. In my experience, vocal blend takes longer to come together than instrumental blend, and it's a big reason why you don't hear this kind of vocal sound much anymore. Unless you're singing together night after night, as the boys did in their years in Hamburg, you won't sound like this. 2) The interesting thing is this kind of blend can be rather forgiving in terms of singing in tune. Even if you're a little off, it's not as noticeable as when you have no blend at all. Listen to the first set of "oo's" behind Lennon's lead vocal. It's a little shaky but you don't notice unless you listen really hard. 3) I love the piano solo in that the tape was obviously slowed down, which made it sound like a harpsichord, so the part could be easily played (especially the run at the end of it). Producer George Martin originally played this solo on the Hammond organ, but didn't feel that the sound worked for the song so he replaced it with piano. Sorry everyone, but every time I embed one of these great videos, EMI takes them down, even though it can be argued that they're being used for educational purposes under Fair Use. 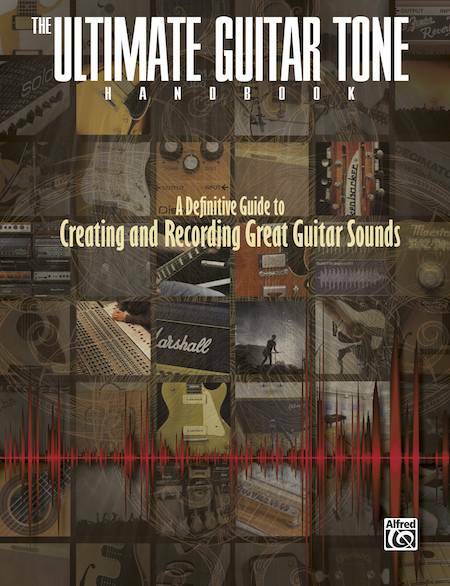 Last day to enter to win a copy of The Ultimate Guitar Tone Handbook. For those of you who haven't experienced analog recording before, and for those of you old schoolers who only fondly remember it, here's an interesting look at the temporary home studio that Foo Fighter frontman and former Nirvana drummer Dave Grohl set up to record their latest as yet untitled record. Even though the Foos have a state-of-the-art facility not far from Dave's house, producer Butch Vig wanted more of a "primal" sound that only a garage can provide, so they set up a small API console and a couple of Studer A820 24 track tape decks and off they went. You won't hear any music on the following video, but it's a pretty good overview of the way recording used to be (except for the tour of the refrigerator - I could've done without that).